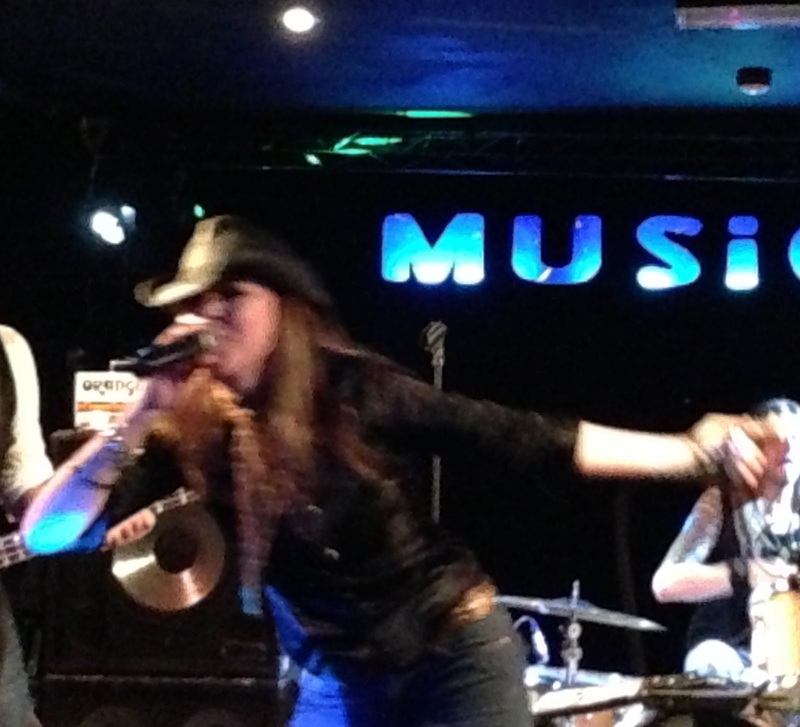 With her trademark cowboy hat, rousing vocals and boundless energy, Stacie Collins continues to be an international trailblazer for a raucous rock n’ roll sound that successfully straddles honky tonk, country and rock. After making that iconic migratory journey from Bakersfield, California to Nashville Tennessee, Stacie’s influence continues to spread this side of the Atlantic with an increasing number of venues happy to welcome back her band and their brand of high octane electric fused roots music. Amongst these include the exceptional Musician in Leicester which regularly hosts Stacie in a crowd friendly weekend slot to the delight of her Midlands based fans. In the twelve months since Stacie’s previous extended UK visit, the composition of her band has altered with a Scandinavian segment assigned to support this year’s European trip. With a significant country music contract luring away lead guitarist Jason Graumlich, Swede Conny Bloom has been drafted in, with fellow Scandinavian Pontius Snibb replacing Brad Cummings on drums and thus performing a similar role he did with Jason and the Scorchers in Leicester last year. These changes came over as seamless with bassist Al Collins keeping order to free up Stacie to blitz the set with her vivacious persona and blues-soaked harp playing. Stacie has two major album releases that she draws her set list from as well as lacing the show with a selection of strong covers to reflect her influences. New additions this year included a Scorchers song ‘Money Talk’, unsurprisingly with Al’s connection to both bands, and the blues standard ‘Baby Please Don’t Go’, which has featured many a rock makeover in its day. In a unique way, the band sampled a verse from ‘Folsom Prison Blues’ into their high energised version. As 2013 is shaping up to be the year of Gram Parsons covers, the band’s usual duet rendition of ‘Ooh Las Vegas’ continued to contribute to the legacy of the pioneer of country rock. The appeal of Stacie’s music attracts both fans of country music looking for a little rock and rock fans seeking a wider appreciation of roots music. The former will be smitten by her standout track ‘Lucky Spot’ which continues to melt hearts with each listen and enables Stacie to purr with pride when recalling the song’s origins. From the album of the same name of this fabulous track, the fast-paced ‘Ramblin’ never fails to get your heart racing, while the blood pumps along to ‘Baby Sister’. Hopefully it won’t be too long before SOMETIMES YA GOTTA loses the status as Stacie’s latest album but while we wait patiently for its follow up, several of the songs will always be live favourites. This evening the band chose to open the set with ‘Lend the Devil a Hand’, and no show will be complete without ‘Hey Mister’, ‘The Very Last Time’ and ‘I Won’t Do Ya Like That’, the latter with the immortal line ‘One girl’s trash is another girl’s treasure’. Twelve months ago Stacie fought bravely against an ailment to stun the audience with her rock ballad ‘It Hurts to Breathe’. This time there was no such struggle as a mug of tea was the entire liquid stimulant required to invigorate her vocal talents. 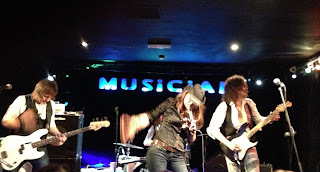 There was also a hint of some future material with the Leicester debut of the blues infused ‘Better Get in Line’ and it will be an exciting proposition to hear more new songs from the undoubted talents of Stacie and Al. The satisfying turnout on a Bank Holiday weekend, aided by a lively warm up slot by local rock band The Midnight Dogs, will hopefully encourage the organiser, Cheeseweasel Promotions, to continue to support Stacie in the Midlands area. While she has a number of established venues in this country, the potential to grow her fan base over here is enormous. 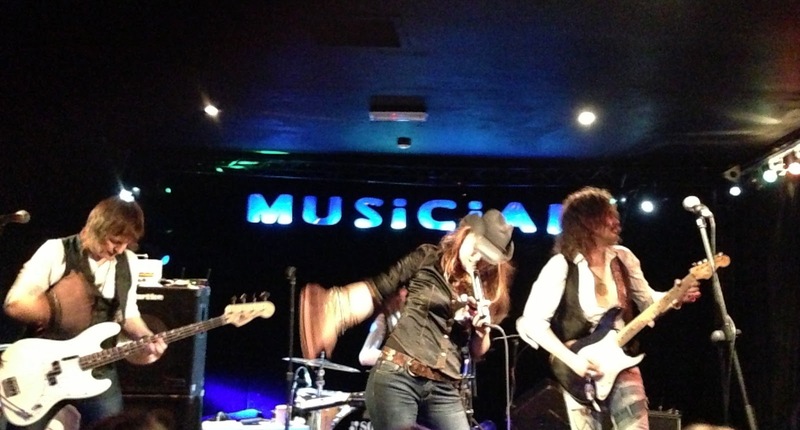 So regardless of your musical standing, getting into the music of Stacie Collins and attending one of her gigs will be a decision without regrets and lead you on an absorbing journey of country rock n’ roll mayhem.